What a predicament to be in. You’ve fixed the market. Now you own the market. But you find there isn’t anyone to sell to. So we continue to walk this road. The Bank of Japan owns over 70% of the shares of all Japanese ETFs listed on the Nikkei. The ECB pretends there is demand for completely worthless debt and puts a perpetual bid beneath it. Without it? Freefall. While the majority keep bashing the Federal Reserve, other central banks seem to escape any criticism. 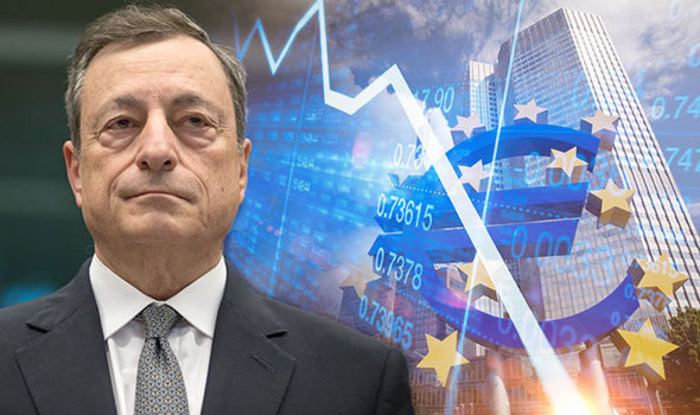 The European Central Bank under Mario Draghi has engaged in what history will call the Great Monetary Experiment of the 21st Century – the daring experiment of negative interest rates. A look behind the scenes reveals that this experiment has been not just a failure, it has undermined the entire global economic structure. We are looking at pension funds being driven into insolvency as the traditional asset allocation model of 60% equity 40% bonds has failed to secure the future with negative interest rates. Then, the ECB has exceeded 40% ownership of Eurozone government debt. The ECB realizes it can not only sell any of its holdings ever again, it cannot even refuse to reinvest what it has already bought when those bonds expire. The Fed has announced it will not reinvest anything. Draghi is trapped. He cannot stop buying government debt for if he does, interest rates will soar. He cannot escape this crisis and it is not going to end nicely. When this policy collapses, forced by the free markets (no bid), CONFIDENCE will collapse rapidly. Once people no longer believe the central banks can control anything, the end has arrived. We will be answering the question – Can a central bank actually fail?